When Apollo astronaut Eugene Cernan left the moon in 1972, no-one thought that he'd be the last human to visit our nearest astronomical neighbour for 45 years. But the defunding of NASA as the Cold War wound down, and failure of any other country to land a person on the Moon, has meant that the International Space Station in Earth's orbit remains the most distant outpost of humanity. And that's just 400km away - less than the distance from London to Newcastle. However, we may be about to claw back some of our past glories. 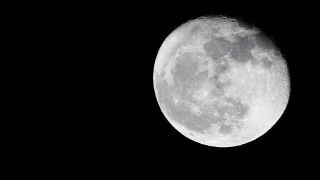 The United States and Russia have formally agreed to collaborate on a NASA-led project to build a space station orbiting the Moon. The Moonbase will be the first step of a multi-stage project to send humans deeper into the Solar System called the Deep Space Gateway. The Lunar station would not only make it easier for people to visit the Moon, but also serve as a refuelling station for more distant missions. "While the Deep Space Gateway is still in concept formulation, NASA is pleased to see growing international interest in moving into cislunar space as the next step for advancing human space exploration," said NASA's acting administrator Robert Lightfoot. The Russian Space Agency, Roscosmos, said that the first thing the two nations wanted to do together was "to develop international technical standards which will be used later". They've already agreed standards for a docking unit on the future station. Once the not-very-exciting work of agreeing standards is complete, it's hoped that the main works can begin in the mid-2020s. Despite tensions between Moscow and Washington in recent years, the two nations have remained close collaborators on space matters. "We understand that we are key players and we have to work on these missions together," said Roscosmos's general director Igor Komarov.